An Institution That Can Unite All Ethiopians! The recent protests in the Oromo and Amhara regions of Ethiopia have questioned the legitimacy of the ruling party of Ethiopia, the Ethiopian People Revolutionary Democratic Front (EPRDF), and many opposition groups and concerned Ethiopians are calling for a transitional government and a new constitution. While opposing groups are advocating for differing versions of political structures (ex: unitary, federal, or a mix of the two), they all seem to have a common interest in a democratic political system. However, no one seems to be calling for the restoration of the monarchy, an institution that has long been part of the country’s tradition and history. From its legendary origin of Queen Makeda and King Solomon to its likely root of the Damot (or Damat) kingdom of ancient Ethiopia and to its successor states centered in Tigray and Shoa, the history of the Solomonic dynasty had long been associated with the history of Ethiopia. This age-old monarchy, if restored, may help to maintain and foster national unity. In his study of democracy, Seymour Martin Lipset (1959) observed that of the 12 democratic countries of the time, ten had monarchies as heads of states. These democracies were located mostly in Western Europe and included Great Britain, the Netherlands, Sweden, Norway, and Denmark. Lipset argued that the democratic regimes in Western Europe acquired legitimacy because they preserved the traditional monarchies as head of states, which had the support of the conservative groups including the aristocracy, landlords, and the clergy. Consequently, constitutional monarchies, according to Lipset, have helped to legitimize the democratic system by fostering unity among diverse groups, the groups of the past (conservatives) and of the present (progressives). In the case of Ethiopia, the revolution ended Emperor Haile Selassie’s reign due to its failure to make political and socioeconomic reforms. The aristocracy is also gone, either it was killed during the revolution, died out of age, or could not maintain its status. The landlord class has also been wiped out by the revolution. The only conservative institution remaining from the old order is the Ethiopian Orthodox Church. Prior revolutions have also ended monarchies in France (1789), Russia (1917), and China (1911) for similar reasons. Yet the end of the Solomonic dynasty may not be a foregone conclusion. As Arnold Toynbee has argued, Ethiopia has been more of a peculiar country. For instance, it was the only country that had avoided European colonialism in Africa (save Liberia). It was also the only country in the northeast Africa that preserved its Monophysite Christianity by avoiding Islamic Jihad in the seventh century A.D. (cited in Trimingham, 1952). We might also add that the Solomonic dynasty was restored in 1270 A.D. after having been interrupted by the Zagwe rulers between the 11th and 13th centuries. The dynasty was also re-restored in 1855 after giving way to the era of the princes lasting for about 100 years. Will history repeat itself? Will the weight of Ethiopia’s long and rich history sway the opinions of all or most Ethiopians to seek the restoration of the monarchy one more time? Should there be a popular interest in it, the Solomonic dynasty could be restored in Ethiopia as a national constitutional monarchy, for absolute autocratic systems are increasingly becoming a thing of the past. The principal function of a constitutional monarchy would be to serve as a symbol of national unity and would only have ceremonial duties. Indeed, the only way one can make the monarchy compatible with modern ideas of equality and liberty (also known as democracy) is to make sure that it is constitutional and that it is involved very little, if at all, in day-to-day politics. Such an institution would not need an ‘emperor’ but a ‘king’, for the former implies the presence of an empire or more than one king in the country. It may be anticipated, however, that some Ethiopians or groups are opposed to the return of the Solomonic monarchy. For instance, they may believe that the time of the monarchy has gone. Given the revolutionary upheaval that the country had to go through between 1974 and 1991 and the popularity of modern republics, these individuals and groups may not see the need for restoring the monarchy. However, the political history of the country since 1974 suggests that republican Ethiopia has not been without major, if not catastrophic, problems. During the Derg regime, hundreds of thousands of Ethiopians had died and a generation of intellectuals was lost. 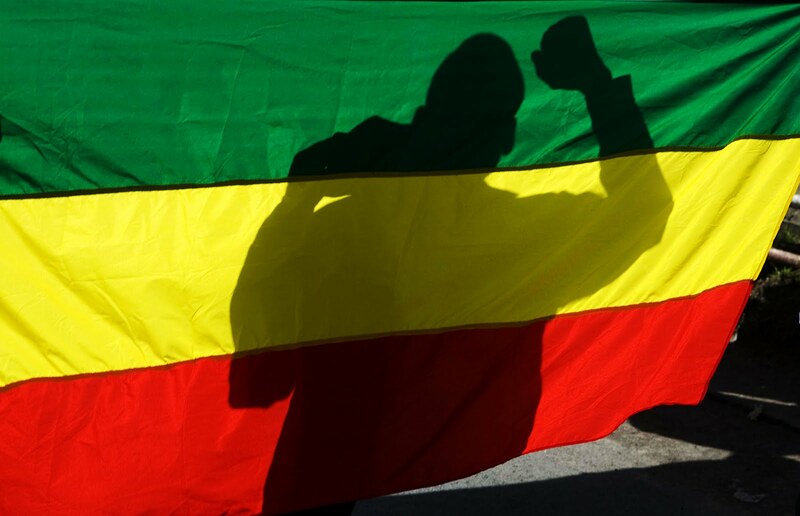 Under EPRDF, Ethiopian unity is at stake and in danger. Regional and ethnic identities are increasingly becoming more important than the overarching Ethiopian nationalism. In addition, some groups from ethnic groups like the Oromo may feel that the Solomonic monarchy may not represent the cultural values of all of the Ethiopian people. It is true that the dynasty has been historically associated with the Amhara and Tigrean peoples of north central Ethiopia. Yet there had been marriages between the Solomonic line of rulers and people belonging to the Oromo ethnic group from as far back as 300 years ago. Emperor Bekaffa, who ruled Ethiopia between 1721 and 1730 and from the Solomonic line of rulers, is believed to have married an Oromo. The couple’s son, Emperor Iyasu II (1730-1755), was also married to an Oromo. More recently, Emperor Haile Selassie’s wife, Empress Menen Asfaw, was partly an Oromo. She was the granddaughter of Nigus Michael (formerly Muhammed Ali). Emperor Haile Selassie himself is believed to have an Oromo blood on his father side. His grandfather is believed to be Fitawrari Wolde Mikael Gudessa. Moreover, Emperor Haile Selassie’s granddaughter, Princess Seble Desta, was married to an Oromo, Dejazmach Kassa Wolde Mariam. And Prince Sahile Selassie, Emperor Haile Selassie’s son, was married to an Oromo, Princess Matsente Habte Mariam. In other words, the Oromo have every right to claim and nurture the Solomonic dynasty. As Donald Levine (1974) has aptly put it, Ethiopia is an evolving multiethnic society, and the Oromo have been instrumental in such an evolution. Moreover, the religion of the Solomonic line of rulers had been Christianity. So, would Ethiopian Muslims support the restoration of the monarchy? The Solomonic line of rulers and the leaders of Muslim kingdoms and principalities in Ethiopia, of course, had had a long history of conflict and peaceful coexistence in the country. For instance, when medieval Ethiopian rulers, such as Emperor Amde Tsion I (1314-1334), realized that the Adal (or Afar) Muslims were too proud and brave to be completely subdued, they had to give them regional autonomy. In addition, whenever Ethiopia needed new bishops from Alexandria, Egyptian sultans had consistently encouraged medieval Ethiopian emperors to respect the religious rights of Ethiopian Muslims. The Ethiopian emperors had often consented to do so. More importantly, it should be noted that ordinary Ethiopian Christians and Muslims have shown extraordinary civility and tolerance to each other over a long period of time. This is especially true since the turn of the twentieth century. Still, it is an open question as to how Ethiopian Muslims would feel with the idea of restoring the Solomonic dynasty. One thing is true: there has to be religious freedom in Ethiopia for the monarchy, if restored, to be accepted by diverse religious groups in the country. Now, it is only fitting to repeat Dr. Getachew Mekasha’s advice stated in his 1991 essay published in Ethiopian Review. In his wisely titled essay, The True Test for Democracy Still Ahead, Dr. Getachew argued that if democracy was to exist in Ethiopia right after the fall of the Derg regime, the monarchy needed to be restored. Of course, Dr. Getachew’s advice was not heeded at the time. It may not be too late now, however. If the Solomonic dynasty is restored, the monarchy will likely be an asset, not a liability, to the Ethiopian people. Specifically, the Solomonic line of rulers could serve as unifying symbols and father figures of the country’s diverse peoples. As cultural and historical figures to look up to, the monarchs could also help to revitalize the increasingly declining traditional Ethiopian values, such as trust, decency, and respect. Moreover, the monarchy could provide legitimacy to the political system of the country. This is especially true if the political system of Ethiopia is democratic. Gizachew Tiruneh. (2015). The Rise and Fall of the Solomonic Dynasty of Ethiopia: Is the Kebra Nagast a Time-Bound Document? Los Angeles: Tsehai Publishers. Levine, Donald. (1974). Greater Ethiopia. Chicago: University of Chicago Press. Lipset, M. Seymour. (1959). “Some Social Requisites of Democracy,” American Political Science Review. 53 (1): 69-106. Munro-Hay, Stuart. (1991). Axum: An African Civilization in Late Antiquity. London: Edinburgh University Press. Sergew Hable Sellassie. (1972). Ancient and Medieval Ethiopian History to 1270. Addis Ababa: United Printers. Taddesse Tamrat. (1972). Church and State in Ethiopia. New York: Oxford University Press. Trimingham, J. (1952). Islam in Ethiopia. New York: Oxford University Press.